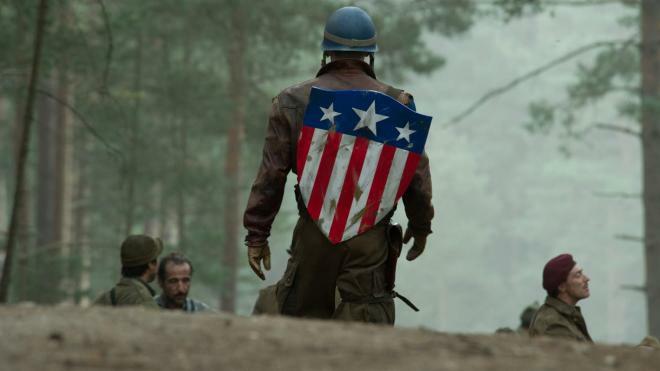 Eight years later, Captain America: The First Avenger continues to be pure escapist fun, starring a perfectly cast Chris Evans as the titular patriotic superhero in a classic plot about good versus evil. The Cap charges into Ultra HD with a strong 4K presentation and a slightly better Dolby Atmos soundtrack, but the same set of supplements as before. 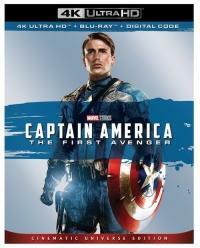 Still, the overall package is Recommended for hardened MCU loyalists and UHD collectors. Captain America: The First Avenger came out eight years ago, the fifth entry in Phase One of the Marvel Cinematic Universe, the last standalone feature before assembling the team together in The Avengers. Since then, the MCU has interestingly evolved with a fascinating awareness and its thumb on the cultural zeitgeist, with Iron Man and the Cap essentially leading the charge. And so, it's with that in mind that revisiting the movie feels rather quaint and charming — an old-fashioned, somewhat antiquated tale about good versus evil in an unironically literal way. 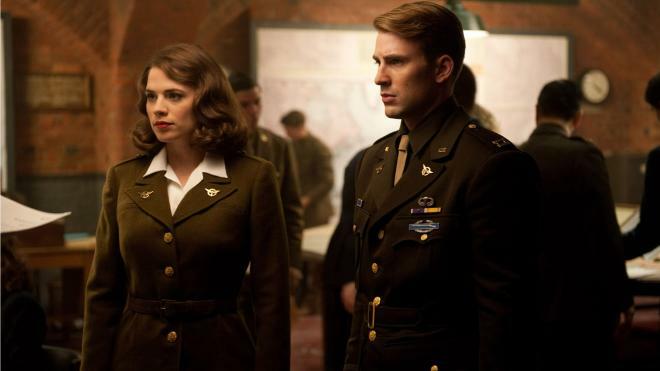 Even the plot carries the classic Hollywood spirit as Steve Rogers (Chris Evans) travels on the roadshow in his journey to becoming a hero, an allegorical figure for sincere, uncorrupted patriotism without seeming jingoistic. The point is The First Avenger is just pure, unadulterated fun all around, effortlessly captivating the audience while "hooah!" 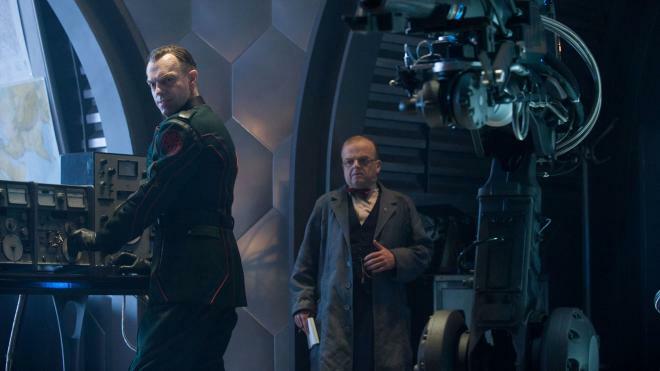 cheering his fight against Nazi's Red Skull (Hugo Weaving). For a more in-depth take on Captain America: The First Avenger, check out our original Blu-ray review written back in 2011. Paramount Home Entertainment brings Captain America: The First Avenger to Ultra HD Blu-ray as a two-disc combo pack with a flyer for a Disney Digital Copy. When redeeming said code via RedeemDigitalMovie.com or MoviesAnywhere, users should have access to the 4K UHD digital version in Dolby Vision HDR with Dolby Atmos. The dual-layered UHD66 disc sits comfortably opposite a Region Free, BD50 disc. Both are housed inside a black, eco-vortex case with an embossed, glossy slipcover, and the accompanying Blu-ray appears to be the same one from the previous 2011 release. At startup, viewers are taken directly to the movie. The Cap storms into Ultra HD home theaters with the aid of a strappingly handsome HEVC H.265 encode. It's a strong and generally satisfying enhancement over its former HD self, looking slightly sharper in some areas while about the same in others. Upscaled from a 2K digital intermediate, viewers can make a bit more details in the background, the clothing and various buildings, but overall, the difference is rather minor. The 4K transfer also comes with several instances of mild aliasing along the sharpest edges, most noticeably in wide shots, and what should be a visible layer of grain can occasionally look like mosquito noise. Most of the 2160p video also appears darker and dimmer than its predecessor, sometimes making poorly-lit interiors rather problematic as the blackest areas and shadows tend to engulf the finer details. Nevertheless, black levels are a tad richer and inkier in some areas while in others, it can fall flat and murky, such as when Col. Phillips interrogates Dr. Zola. The First Avenger is injected with the powerful Dolby Atmos serum, providing a few nice and mostly welcoming enhancements, but the upgrade is frankly not the rip-roaring, gung-ho step up fans were probably hoping for. Don't get me wrong, there is much to appreciate and enjoy here, as the opening moments instantly fill the room with the aggressive winds of a thick snowstorm. Icy snowflakes sound like frozen sand pebbles or tiny rocks being blown above and all around the listening area, but once we move into the story proper, things suddenly quiet down significantly, employing the height channels sparingly. The commotion of traffic and busy city life of New York lightly expand across the overheads and the debris from explosions occasionally seem to rain down from above, but such moments frankly fail to generate a convincingly hemispheric soundfield. Instead, the surrounds do much of the leg work going into battle, satisfyingly enveloping the listener with ambient effects that flawlessly pan from the screen to the sides and rears. 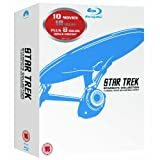 All the same set of supplements from the previous release are ported over for this Ultra HD edition and can be found on the accompanying Blu-ray. Only the commentary track is shared between the UHD and the BD. For a more in-depth take, you can read our review of the standard Blu-ray HERE. Feeling very true and faithful to the original comics, Captain America: The First Avenger is just loads of fun, a pure cinematic joy told as a classic tale of good versus evil and making those lines very clear and uncomplicated so as to sit back and cheer our hero into battle. 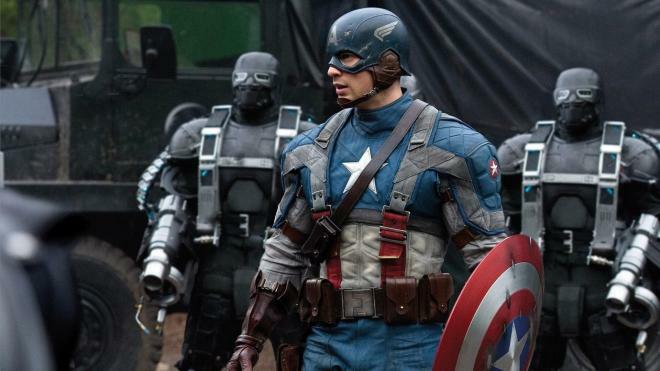 Starring Chris Evans as the titular patriotic superhero, the movie continues to be a satisfying piece of escapist entertainment, feeling unironically quaint and old-fashioned compared to where the MCU has evolved into. The Cap charges into Ultra HD with a strong, strappingly handsome 4K HDR10 presentation although the improvements over its Blu-ray counterpart are rather light, but on the other hand, the Dolby Atmos soundtrack provides a few welcomed enhancements fans will surely appreciate. With the same set of supplements as before, the overall package is nonetheless recommended for hardened MCU loyalists.